With a highly active and dedicated committee and a growing membership, the Cavan Town Branch of Comhaltas is looking forward to a bright and busy future. The Cavan Town Branch runs regular sessions throughout the year. It organises concerts, céili and set dancing plus tuition in music, song and dance. The Branch also puts on a series of concerts throughout the months of July and August each year in The Meadowview and also The Cavan County Museum in Ballyjamesduff. New members are particularly welcome. Passing on the tradition of Irish culture is what Comhaltas do. Our informal sessions are one example of this and if you come along you will be treated to a wonderful evening of traditional music and song by children & adults of all ages. The branch runs sessions every Sunday. All musicians, singers and dancers are encouraged to attend. Those seeking information on traditional music classes, details on sessions or membership should contact the Branch on email cavantowncce44@gmail.com or visit our Facebook page Cavantowncce . 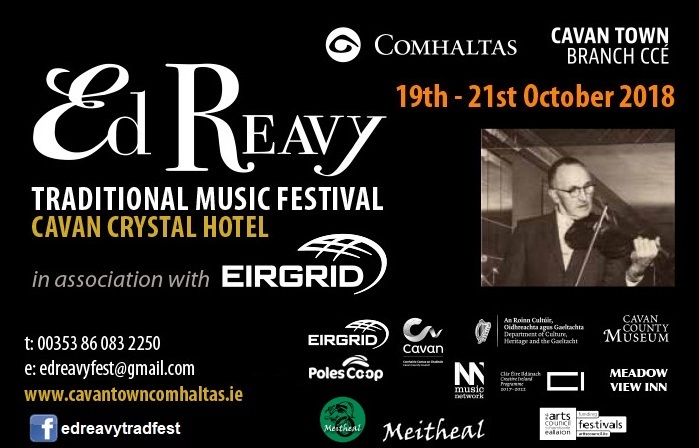 2016 saw the Ed Reavy Festival run from October 13th to 16th at Cavan Crystal Hotel, with an action packed weekend of Music, Song, Dance, Drama and the launch of the Ed Reavy Traditional Fiddler of the Year Competition, which was won by Méabh Smyth. Further information on Facebook EdReavyTradFest – why not visit, Like and Share. In October 2018, we will launch a new initiative to assist families in determining what instrument some of their family members will select going forward. We will be making available a number of different instruments on a rental/trial basis initially with a future option to purchase or return. This will provide families the opportunity to try different instruments and arrange lessons without the need to invest at the start – more details to follow. 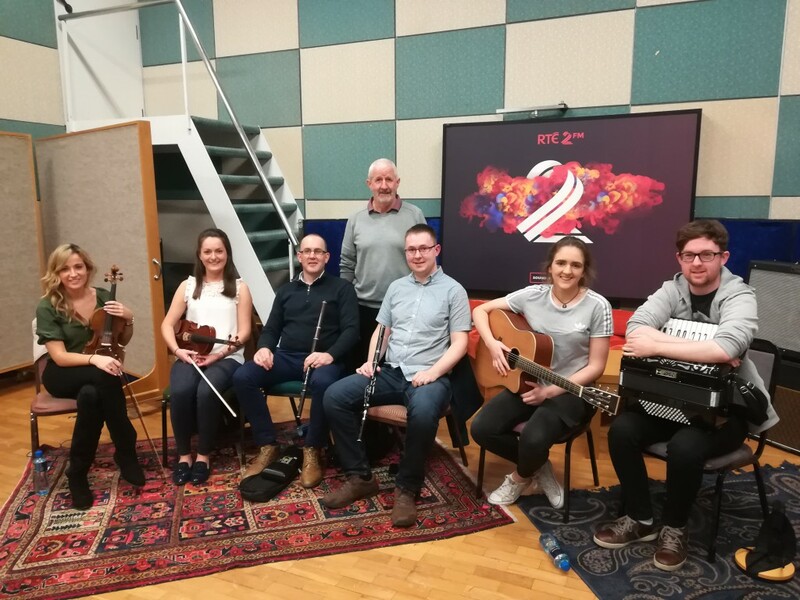 Cavan Town CCÉ have been Supported by Music Network’s Music Capital Scheme, funded by The Department of Culture, Heritage and the Gaeltacht. Music Network is funded by The Arts Council͟.